Johnson & Johnson's new sedation machine promises cheaper colonoscopies, but anesthesiologists, among the highest paid physicians, don't like it one bit. It's yet another case of robots replacing humans. Please consider the New York Times article Robots vs. Anesthesiologists. Anesthesiologists, who are among the highest-paid physicians, have long fought people in health care who target their specialty to curb costs. Now the doctors are confronting a different kind of foe: machines. 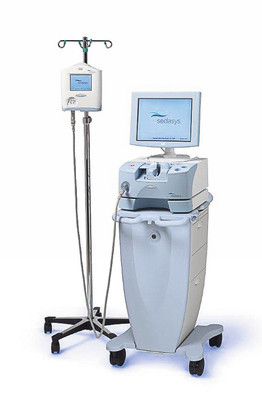 A new system called Sedasys, made by Johnson & Johnson, would automate the sedation of many patients undergoing colon-cancer screenings called colonoscopies. That could take anesthesiologists out of the room, eliminating a big source of income for the doctors. More than $1 billion is spent each year sedating patients undergoing otherwise painful colonoscopies, according to a RAND Corp. study that J&J sponsored. An anesthesiologist's involvement typically adds $600 to $2,000 to the procedure's cost, according to a research letter published online by JAMA Internal Medicine in July. By contrast, Sedasys would cost about $150 a procedure, according to people familiar with J&J's pricing plans. Hospitals and clinics won't buy the machines, instead paying a fee each time they use the device, these people say. The $150 would cover maintenance and all the costs of performing the procedure except the sedating drug used, which would add a few dollars, one of the people says. As J&J prepares for a limited rollout, many anesthesiologists are sounding the alarm. They say the machine could endanger some patients because it uses a powerful drug known as propofol that could be used improperly. They also worry that if the anesthesiologist isn't in the room, he might not be able to get to an emergency fast enough to prevent harm. During testing, none of the 1,700 patients sedated by Sedasys required rescuing, says Steven Shafer, editor in chief of the medical journal Anesthesia & Analgesia, who helped J&J develop the machine. He says that the machine's use is limited to healthy patients who aren't at risk for problems and that the machine has mechanisms to monitor patients and make rapid adjustments, such as boosting oxygen. "These are all things an anesthesiologist would do," says Dr. Shafer, a professor of anesthesiology at Stanford University. J&J is also developing a device that could cut anesthesiologists out of another popular procedure: surgery to insert tubes into the ears of children seeking relief from infections. J&J hopes that ear, nose and throat doctors will be able to insert its device with the push of a button, avoiding having to put the kids under anesthesia in a hospital. The median annual salary of Anesthesiologists is $286,000. That is ninth among all physicians and third among nonsurgeons surveyed by PayScale.com, a salary data and software firm. Those costs are about to change. Here is a picture of Sedasys, who bills at $150 per use. What cannot go on won't. And two of the things that cannot go on are spiraling education costs and spiraling healthcare costs. I welcome these changes and assure you that more are coming. It's a good thing, but current Anesthesiologists won't see it that way.